Electronic Signage Installation nationwide services by Graphic Installation crew are available anywhere in the U.S. We offer a complete solution and install your electronic signs on site. Whether you need to install outdoor electronic signs, retail digital signage, outdoor building signage, indoor signage, or school digital signage, we are here to get the job done. No job is too big or too small for us. We can do a single screen electronic signage installation or a multi-screen wall. Just let us know what do you need. We will give you a quote the same day and take on your project fast. To make sure you get exactly what you need, we will analyze your needs, give you a personalized estimate, and provide convenient pricing. Graphic Installation team will also make sure to respect your time frame and finish the electronic signage installation at a convenient time of a day. Feel free to tell us what time of day is best for you and we will respect that. We know that running a business is time consuming and often very hectic. Also, we don’t want to interfere with your everyday business processes. This is why we make sure to put your convenience first. We will work closely with you whether you have a full team or just one person in charge. This enables us to get your electronic signage system up and running in no time. Contact us today to get your free electronic signage installation estimate! Graphic Installation expert crew has successfully completed many electronic signage installations in different high-traffic and low-traffic facilities. We continue to work for manufacturing, retail, healthcare, education, public venues, hospitality, government, distribution, transportation, and other businesses. Outdoor digital signage is very important for all businesses, regardless of their domain or field. Our expert electronic signage installers possess licenses and their own installation equipment. They have a general liability insurance coverage, too. Our significant experience in outdoor digital signage planning, placement, and installation makes us favorite for many businesses across the U.S. We will always make sure to carefully inspect the site, do the survey, plan, and execute the installation. To make sure we can complete the job, our crew of installers will stop by your business and check the location intended for the outdoor electronic signs installation. This is how we ensure that power, measurements, and other technical details will allow us to finish the installation process. Even the smallest sized outdoor building signage can do wonders for advertising your business and boost foot traffic. Dynamic and vibrant advertisement that digital signage displays provide will help you grow your business and bring more awareness around your brand. Whether you need outdoor digital signage, outdoor retail signage, school digital signage, event signage, corporate signage, or any kind of outdoor digital signage displays, contact us today to get a free, personalized estimate for your project. 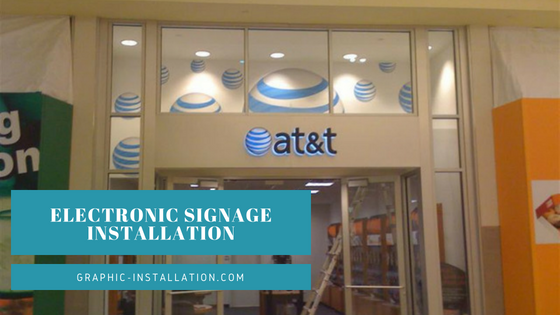 Once you have your electronic signs ready for installation, our expert team of installers will let you know about all the activities electronic signage installation will include. Our team is flexible and mobile and will travel to any state in the U.S. where you need us. Graphic Installation team of knowledgeable installers will arrive at your site fully-equipped, ready to deliver first class digital signage. Indoor LED digital signage and digital screens will attract your customers and help you advertise and pass the message important to you. Brighter than other digital signage options, energy efficient, with longer life than other digital signage displays, LED digital signage will last. Proper installation guarantees best performance and long lifetime of this retail digital signage. 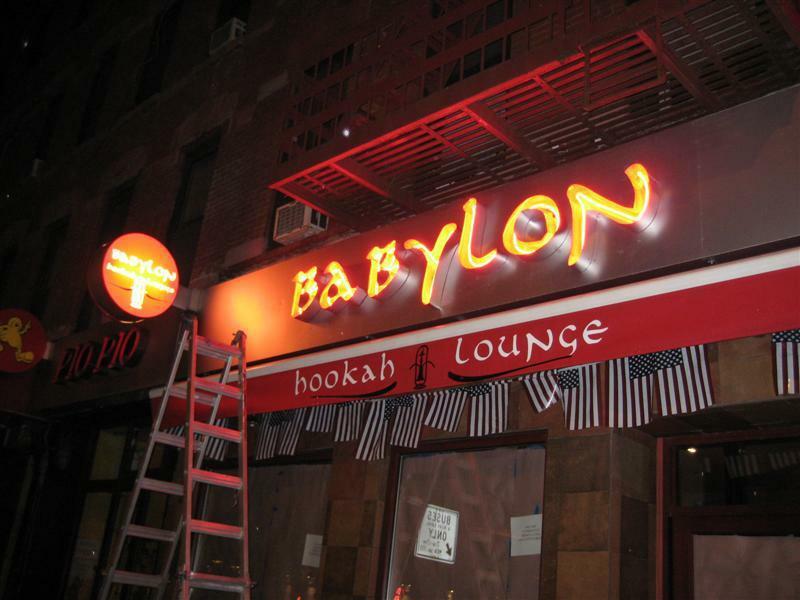 All our electronic signage installments, indoor and outdoor, are visible and durable. Quality workmanship is what you get with Graphic Installation. Our prices and flexibility will beat our competitors any time. A dedicated project manager will take into consideration your specific needs and make sure you get the best in store signs installation options. We will also continually track the progress throughout the installation process, making sure you get the top return of investment from your digital signage installation. At the end of indoor electronic signage installation process, our installers will make sure that you are 100% satisfied with the job done. This is the only way for us to do our job. If you know what type of digital signage will give best results for your business promotion, call us to install it! Our licensed electrician team members will install your electronic signage displays and meet the highest quality standards each time. A vibrant and colorful electronic sign will be good for your business. However, it won’t be able to perform the way it should without the proper installation. This is where Graphic Installation expert team comes in! 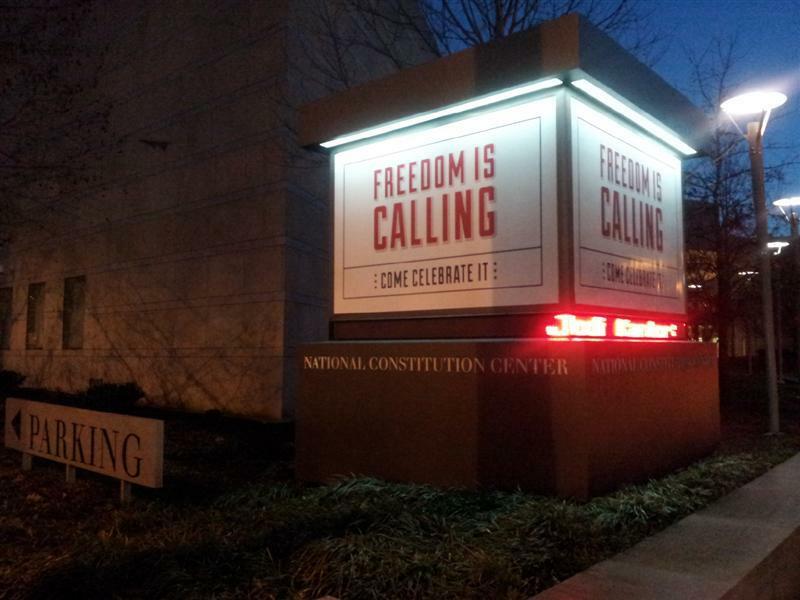 We have done countless of indoor and outdoor electronic signage installations nationwide. Our highly-skilled and extensively-trained installation crew is capable to install your electronic signage in a wide variety of environments. At the same time, we meet top-notch quality standards. Outdoor digital signage, event signage, architectural signage, digital signage displays, retail digital signage, indoor signage, in store signage – you name it, we can install anything! We conduct our installations in a clean, seamless, and professional manner. Our priority is complying with your availability, deadlines, and with all of your requirements. Your satisfaction and your results are the most important to us. Contact us today for your electronic signage personalized, free estimate!